New in 2018, this three-year degree qualification is a response to increased demand for communication graduates on the job market. It is intended to prepare graduates for work as journalists, public relations practitioners and communication advisors . The degree requires no background in any specific subject at school and is open to all students with entry to university. 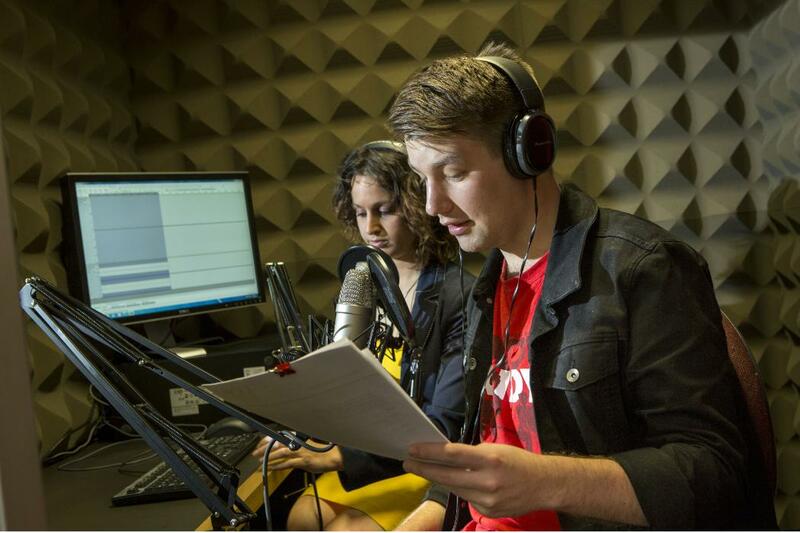 Students who are interested to find out more about the Bachelor of Communication should come to UC Open Day on 12 July, 2018. Please visit the Bachelor of Communication page for more information. The Postgraduate Diploma in Journalism is a one-year programme aimed at preparing graduates for significant careers in journalism. Our graduates can be found in leading newsrooms throughout the country. At UC, you will receive intensive training in media ethics and law, newsgathering and writing, research and analysis, and multimedia skills. It's hard work and requires commitment - but then, we are talking about a career in the real world. We aim to produce highly competent and multi-skilled professionals who think critically about their work and care about standards. Able to work ethically and to a professional standard. Each year, most, if not all, of our graduates win jobs, many of them before the programme has even finished – debunking the myth that reporting jobs are hard to find. Recent graduates walked into jobs at Newshub, Stuff.co.nz, Radio NZ, RadioLIVE, NewstalkZB, NZME, The Press, TVNZ, and various regional and community papers, and landed social and online media roles with various government and corporate organisations. The programme has a strong emphasis on practical work, and we maintain a close relationship with the profession through our many guest lecturers. Throughout the year, you will report for local newsrooms and contribute to a range of media, including radio station RDU 98.5 and our own digital news outlet, The Record. Mid-year, you will be sent on a newspaper internship and, later in the year, we will send you further afield for a capstone internship in a radio, online or print newsroom. University of Canterbury journalism graduates were finalists in several of the 2017 Canon Media Awards, including several of our recent graduates: Fiona Thomas (best junior feature writer and junior health journalism scholarship finalist); Monique Steele (junior health journalism scholarship finalist); Kaysha Brownlie (finalist for best junior reporter);Tess McClure (finalist for best investigation & reporter of the year); and Tim Newman and Michael Hayward (finalists for student journalist of the year). Our graduates took out the top two awards at the 2016 Canon Media Awards: Rebecca Macfie (Class of 1987) won the Wolfson Fellowship and best politics feature; Barbara Fountain (Class of 1989) won Editorial Leader of the Year. Tess McClure (2013) won Junior Feature Writer of the Year, UC graduates Katie Kenny (2013) and Blair Ensor (2008) accepted the award for Best investigation for their Faces of Innocents project about violence against children, and Naomi Arnold (2008) won best Lifesyle Feature. Canterbury graduates were also among top finalists, with Talia Shadwell (2011) a finalist for reporter of the year, and Katarina Williams (2005) a finalist for best journalist – news or sport at the radio awards. Check out the UC Journalism students’ work in their online publication The Record, YouTube channel Journalism UC or their Facebook page. See the Course Information website for more details about the Postgraduate Diploma in Journalism.